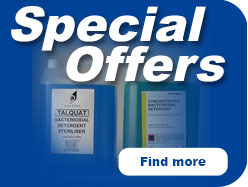 Talbot Chemicals is an industry leader within the manufacture of chemical cleaning materials. Since established in 1982 we have gained a reputation for quality and efficency. We are proud to be able to offer a wide range of products from traditional to cutting edge. We are able to meet your deadlines without compromising quality. Although quality is never compromised we are able to offer prices to meet almost any budget. 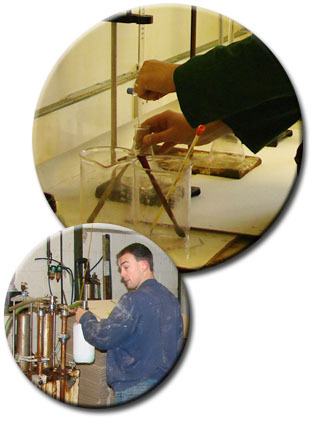 Talbot Chemicals are currently involved in the development of a new range of 100% natural alcohol free surface cleansers and sanitisers, designed to give long lasting protection to both the individual and the working environment. The products have been tested to kill MRSA, C Diff, E Coli, Salmonella + 99.999% of other bacteria and are also food and skin safe due to the new "softer" formulation, containing no irritants.